Click the button below to add the Scalp Anti-Bacterial Formula to your wish list. This product is formulated with active, antifungal ingredients that work fast to improve the condition of your scalp. Upon use, it will quickly absorb, taking its nutrients and beneficial properties to the source of irritation, instantly soothing and calming it. Peppermint, Geranium and Lemongrass essential oils are great deodorizers that neutralize any unwanted odors. This product for scalp fungus is made free of alcohol, free of artificial fragrance and free of other chemicals that could disturb your skin's balance. Your scalp will be left feeling calm, soothed and naturally refreshed. Scalp Anti-Bacterial Formula refreshes and soothes the scalp. Soothes and calms using ingredients that provide nutrients to your scalp for relief. Enriched with Vitamin E to restore, rebalance and help deodorize scalps. Oregano Essential Oil is one of the most potent essential oils. 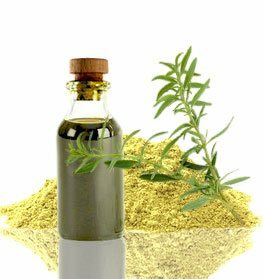 The antibacterial properties of Oregano essential oil were first recognized in ancient Greece. Manuka Oil’s medicinal uses have been known for a long time among the Maori, the original inhabitants of New Zealand. Neem has been used as a medicinal herb for nearly 5,000 years. It contains azadirachtin, a compound which gives Neem its antibacterial, antifungal, and antiparasitic properties. Grapeseed Oil contains a ton of vitamin E for helping keep hair healthy and strong. Hazelnut Oil contains many nutrients and vitamins that alleviate dry scalps and protects hair from the sun. Apply a single drop to affected areas up to three times daily for fast results. Or, apply a single drop to one fingertip and apply to affected area. • Try to massage your scalp daily to stimulate blood flow and promote a healthy scalp. 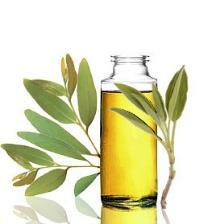 • Apply hot oils to hair to improve softness and manageability. • Invest in a shower filter. This filter removes harsh chemicals from the water, providing you with softer skin and hair. Leptospermum Scoparium (Manuka) Oil, Azadirachta Indica (Neem) Oil, Carapa Guianensis (Andiroba) Oil, Vitis Vinifera (Grapeseed) Oil, Corylus Avellana (Hazelnut) Oil, Simmondsia Chinensis (Jojoba) Oil, Melaleuca Alternifolia (Tea Tree) Oil, Citrus Sinensis (Orange) Peel Oil, Origanum Vulgare (Oregano) Oil, Cedrus Atlantica (Atlas Cedarwood) Oil, Pelargonium Graveolens (Geranium) Oil, Mentha Piperita (Peppermint) Oil, Cymbopogon Flexuosus (Lemongrass) Oil, Silybum Marianum (Milk Thistle) Extract, Calophyllum Inophyllum (Foraha) Oil, Tocopherol (Vitamin E). This works!!! I have suffered from a sore smelly scalp for the last three years. I have been to 4 dermatologists, tried a dozen over the counter and prescription itch shampoos, but nothing helped. I'm using your scalp fungus treatment and the vinegar rinse and have FINALLY found relief! Thank you, Thank you, Thank you for making a line that's not only clean and nutritive but that works without side effects. Forever Grateful! It works wonders! I knew nothing about fungus but after reading about it on your website I checked it out, and sure enough, fungus can cause scalp itching, odors, irritation and more. I had a terribly calming scalp, but not anymore! This scalp fungus product is simple and excellent. No strange ingredients that do nothing for my scalp only nutritive ones. After two uses my itching is pretty much gone. This scalp fungus oil is amazing if you have itching or any scalp problems. After years of trying off-the-shelf and prescription products, many of which destroyed my hair texture and some hair fall, this scalp fungus product did the trick. I use it once a week, and it keeps my scalp itch free, clean and fresh. I don't know what I'd do without it. Really. This is my botanical miracle scalp relief! I developed an calming scalp problem and NOTHING, not even prescriptions helped. I bought this on a whim I thought it might be fungal or bacteria causing the itch, and within a few uses, I was totally fine. Now I just use it once a month for maintenance purposes. I love you guys, thanks so much to whoever created this product. This is a FANTASTIC nutritive product! Within days of using this scalp fungus treatment, I had results, while the other products that I had been using after months did not stop my itch problems. This is the only product I have found to control my scalp itch. My scalp developed pimples out of nowhere, causing me so much pain. I would try to pop them, but that would make me bleed and lose her. I just left my hair in a ponytail or bun and went about my day. I found out about your fungus treatment by doing a search on the web, and I found this.I was interested in the list of ingredients, and I bought the treatment. Your shipping was extremely fast, and I applied the product in immediately. I use this treatment twice a day every single day.My pimples disappeared within about five days. It made me want to cry with joy. I am in love and will keep this on hand if there is another flare up. This product is great! I finally found a product that is helping to improves my mild seborrheic dermatitis. I follow the directions and use it about twice a day. You feel very tingling sensation on the scalp which I love, and it immediately calms itchiness. It's also very easy to use. I have curly hair, and the dropper makes application to the entire scalp or targeting areas easy. P.s. I love the smell. It's intense but refreshing. In Agony For 3 Years! I've been in agony for 3 years straight! Given all the harsh steroid creams and serums but only this worked for me! Thank you! This is the best stuff for itchy scalp or psoriasis!!! Within a week clears up and heals damage! I have been using this on my 21 month old daughters scalp, who has been pulling out her hair at night. I've put drops in the area she has pulled out and other troubled areas. the bald areas show evidence of regrowth and her scalp appears moist. It does have a strong powerful smell, but I can get past it if it is going to help her scalp. Its easy to do spot treatments due to the attached dropper. My scalp is no longer irritated, and I no longer suffer hair breakage from this irritation. I'm on my second bottle! I love this Oil!!! It really does work!!! This is a great product for the occasional flare-ups I get. It's oily, so I apply it at night then use Nutritive's Scalp Shampoo & Conditioner in the morning. This routine keeps my scalp condition under control. Thank you. THE #1BEST PRODUCT I HAVE EVER TRIED!!! WISH I WOULD OF KNEW ABOUT THIS YEAR'S AGO !! IT REALLY WORKS THANK YOU SO MUCH Just Nutritive!! You saved me lots of money and loss of hair! Amazing product! I have tried "Bald Spot Treatment" and it worked really good , I never even thought of this product but I read it and figured why not? never thought I would have fungas in my scalp! considering all ingredients in different shampoo's I can see it happening! & I always have been sensitive to different shampoo's! this cleared my scalp up completely!!! so if you have a scalp condition I would absolutely recommend this product, first! than try another! they all are good!! but this gets to the root of it!